Until now, your parents’ house most has represented financial security, safety and provision. Perhaps you’ve never even had to operate a coin laundry since free laundry is all you have ever known. Your fear and apprehension is completely acknowledged. 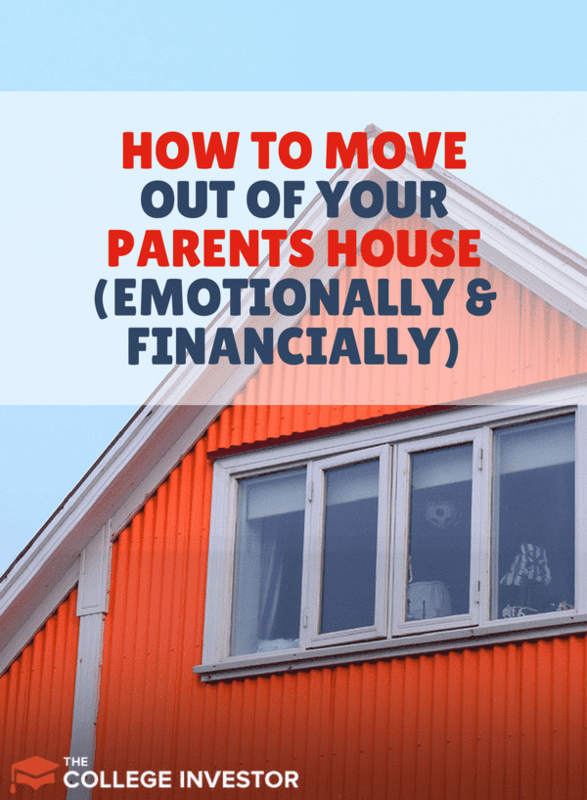 Let’s not also forget that moving out of your parents’ house is not just an emotional stressor for you. It might be for your parents as well. If moving out of your parents’ house has you up at night worrying, this blog post is for you. We cannot start this conversation without considering how much you earn. If you chose the entrepreneurial path, is your business bringing in enough profit that you are comfortable moving out without constantly asking friends and family to bail you out? In most cities, before you get approved to rent a place, you are required to show that you have an income that is 2.5 to three times the rent. Example : if the rent is $1000 per month, you might be required to present proof that you make between $2500 and $3000 per month regularly. Does your current job or business meet this requirement? Even if it is not required by your landlord, in general, making up to three times the rent means that once you send out the rent check for the current month, you will have enough to cover your bills and food as well. If the money you earn is not yet at this level, don’t be embarrassed about it. Rather, now is the time you can begin to think creatively about ways to increase your income so that moving out to live on your own does not throw you into a financial rut. Perhaps you already have a 9-5. How about considering a side hustle to supplement that income ? Earning power is just the tip of the iceberg when it comes to considering your personal finances. In order to make the financial transition smoothly in your quest to move out of your parents’ house, you will also have to consider your spending habits and pay close attention to where your dollars are going. What’s the average rent in the part of town where you will be moving to? How much is the rent if you live alone versus if you live with a roommate? Do you still have student loan debt? Are you currently making monthly payments? Do you have a car note? How much will your utilities come to (roughly) at your new place? Will your new place require rental insurance? How much do you plan to spend on food? These are all essential questions that can be easily answered with a good old pen, paper and calculator. Creating a money map will give you a good sense of where your money is/will be going. It will also inform you on whether or not a side hustle is good for you or which one of your expenses could potentially be cut out so you are not pressed for cash each month. Your new landlords will ask to check your credit score. Have you kept up with your credit score? You can easily check your credit score for free at AnnualCreditReport.com. As a general rule, landlords will require a credit score above 600 to approve you for a rental. If you were not paying attention to your credit and never really built it up, you could ask a trusted friend or family member with better credit than yours to help you with your rental application as you build yours up. Read more about building up great credit in these articles. If you are moving within the same city where your parents live, friends and family might be able to help you move if you offer to pay them with pizza and some cold drinks. If you are moving further away from home, perhaps looking into a moving company or renting a U-haul might be your best bet. Whatever your particular situation, moving costs are an important thing to consider. We would like for life to work in predictable ways. Unfortunately, in real life, emergencies do come up and some of those emergencies will cost you real money. Being independent also means taking care of these emergencies as they arise. Moving out of your parents’ house is one of the best times to start an emergency fund. My suggestion : start with a super-doable amount. $1000 in your emergency fund is always a great place to start. Putting that extra $50 per month in your emergency fund at the beginning or the end of each month is a good way to get this going. Now that we have tackled the financial side of moving out on your own, let’s talk about dealing with the emotional side. Gaining access to a cell phone is easy these days. Video calling apps like FaceTime, Whatsapp and even Facebook Messenger can add a further personal touch to your phone conversations. Of course, Skype and Zoom give you the same capabilities if you prefer to use a computer for your communications. Setting up these communication channels will allow your parents to feel included in your life as well as help you ease into the independent life. Nobody said you couldn’t go back to your parents’ house to say hi once in a while. Apart from setting up a regular communication schedule, you can arrange to be with your family during the holidays, on birthdays and on special occasions. Arranging to visit one weekend per month - if you live close enough - can also be a part of the plan. This is especially applicable if your new home is far away from your parents. You can find friends you share similar values with at your workplace, at local organization meet-ups and even in your neighborhood. If you are at a loss, Meetup.com has communities of people who meet up for various reasons in several cities across the world. It might be worth it to visit one of these local meetups to see if you find someone or a group of people who could become your new “family away from home”. Moving away from home can be draining emotionally and financially. These tips will help you make that transition smoothly.